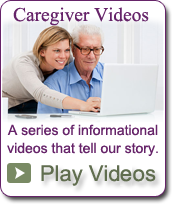 Caregiver Support St. Louis MO | How to Find Support in Caring for an Aging Parent. One common theme that has been present no matter what position we are in, no matter who we are helping, is that we find our greatest source of support when we reach out to others. The sooner we as primary caregivers ask for help for our aging parents, or Aunt Min, the sooner others will be able to lend a helping hand and help us maintain a healthy and balance life of our own. > What is a Care Manager?